Svenja is originally from Germany. She has her PhD in sport psychology from the German Sport University in Cologne (on the relationship between team cohesion and pre-performance anxiety). She’s spent 4 years in Canada at Wilfrid Laurier University, Waterloo, ON; at the University of British Columbia, Vancouver, BC) during PhD/as a post-doc. 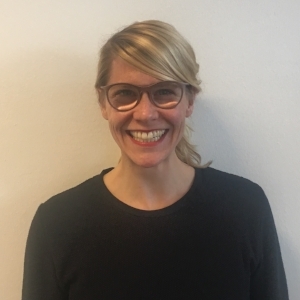 Svenja moved to Amsterdam/the UvA in 2015, first as a post-doc in the social psychology group (2015-2018) and since September 2018 as an assistant professor in the work & organisational group. She’s involved in the master-track sport & performance psychology. Her research expertise on groups and emotions and especially their intersection in sport and other performance context, in particular work on collective emotions and (ambivalent) group influences on members' cognitions, emotions, and motivation. Since 2009 she’s also working as a self-employed applied sport psychology consultant with various individual athletes, teams, coaches, and organisations. Svenja is passionate about bridging the gap between research and practice/evidence-based application/translating academic research into useable information/to make an impact in the field and women in science - making her the perfect guest for our panel this year! Svenja is an avid athlete, ex competitive track and field, recreational handball player, runner, yogi, skier, and nature-lover. As in so-called individual sports, self-employed or freelancing individuals often operate under the misconception that they are detached agents and as such free of group or social influences. Reality and research show, however, that this is not the case. Even in these more autonomous settings, performers do not act in a social vacuum but are subject to others' influences. Thus, in order to attain and sustain optimal performance it becomes crucial to regulate these influences and use social and group connections to one's advantage.